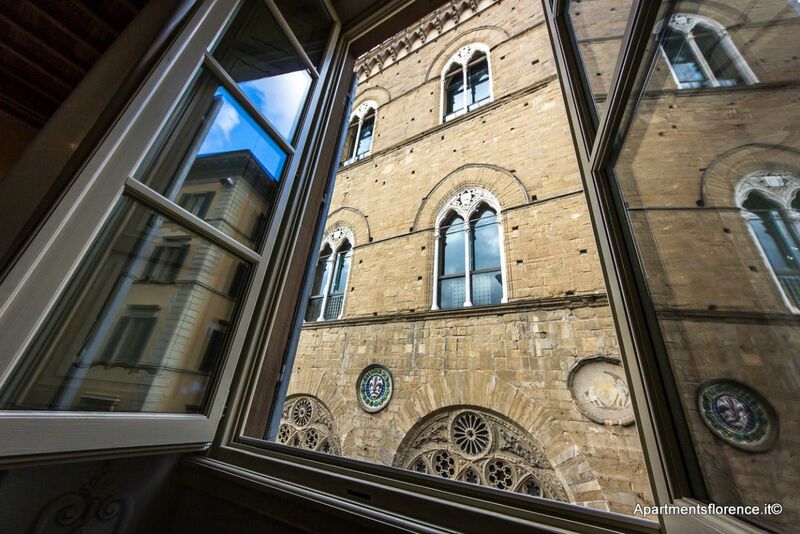 An elegant and refined location nested between the Duomo and Palazzo Vecchio, with a stunning view over Orsanmichele's church. 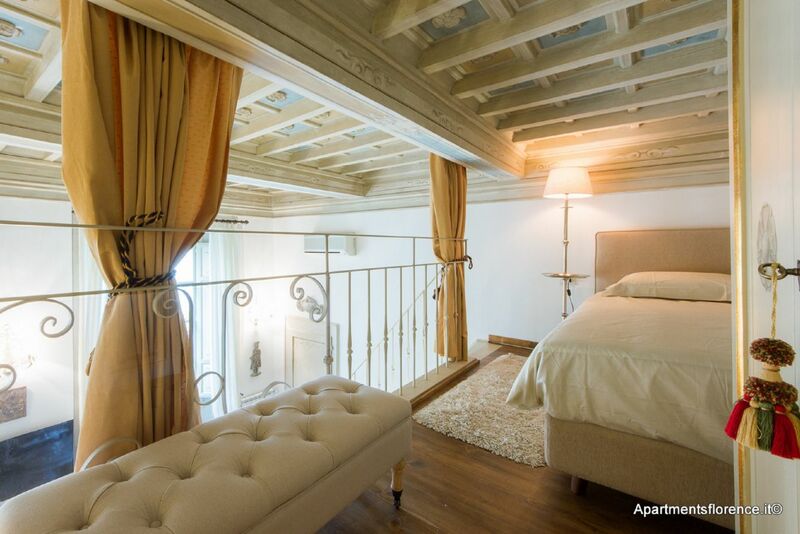 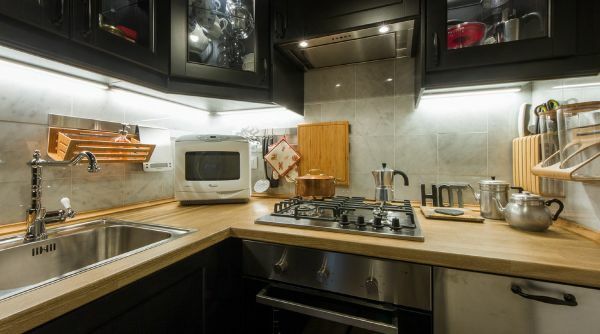 This stunning rental apartment is located only a few steps away from the beautiful and historic Palazzo Vecchio and the wonderful Duomo, on the third floor of an elegant building set in Via dei Tavolini, charming side street of the famous Via dei Calzaiuoli. 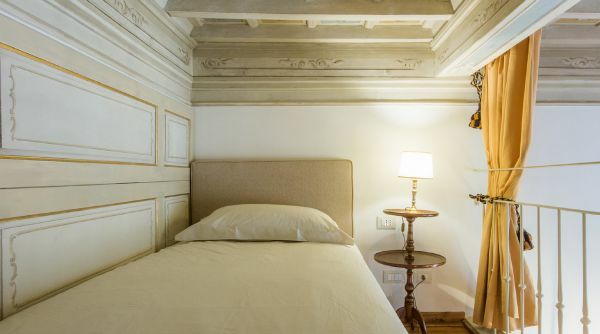 The whole place was recently renovated and redecorated combining contemporary style features with traditional elements, such as parquet flooring and the original stunning wooden decorated paneled ceilings. 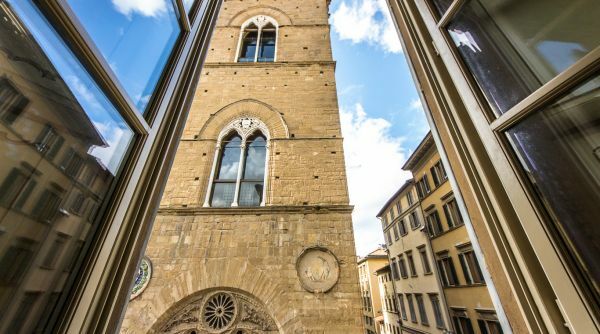 Entering the apartment you'll find the loft - living area, with two large windows providing lots of natural light and a wonderful view overlooking Orsanmichele, the one of a kind church that was once a barn. 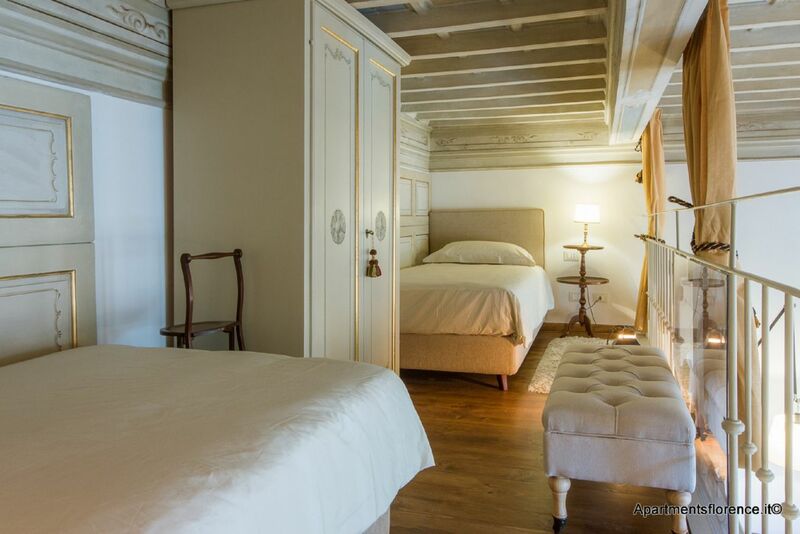 The living room consists of a comfortable sitting area with flat screen TV, a large wooden dining table and, on the left as you enter, a tiny but fully equipped and welcoming kitchen. 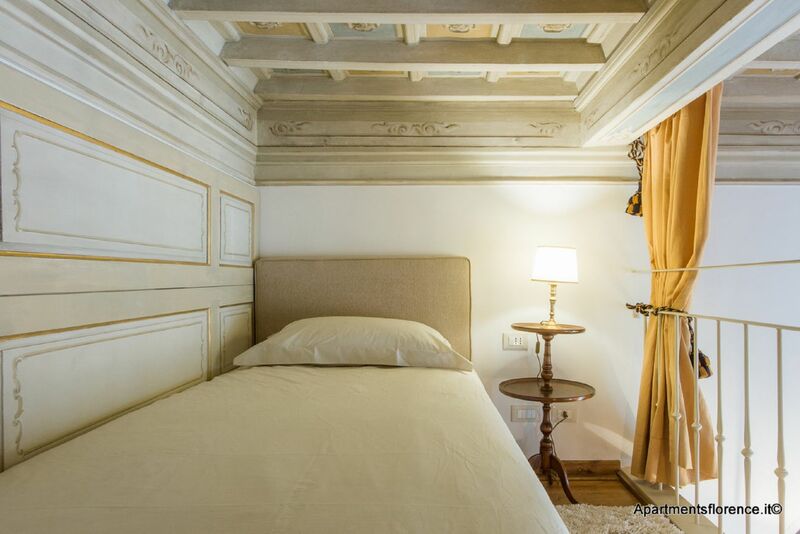 A staircase leads to the mezzanine level, where you'll find a double bedroom featuring a couple of single beds and closet. 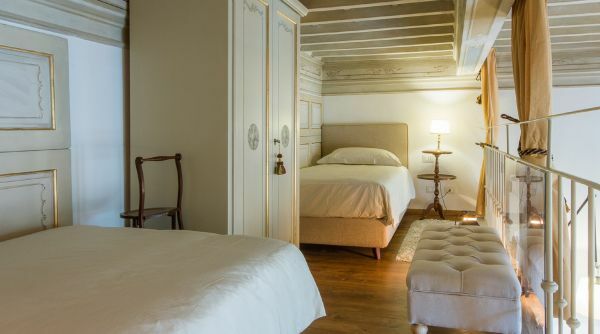 The master bedroom is to be found downstairs: bright and comfortable, this room really is a modern and romantic suite, featuring a queen size bed, a wonderful walk-in closet and a luxury private bathroom with walk in shower. 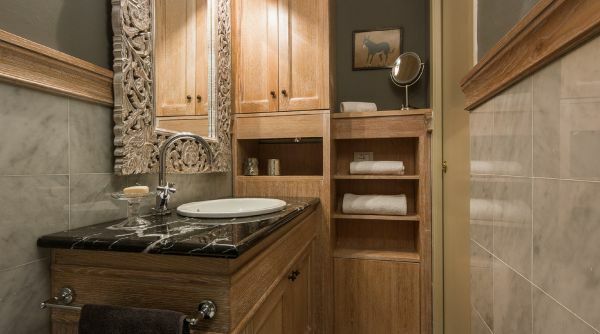 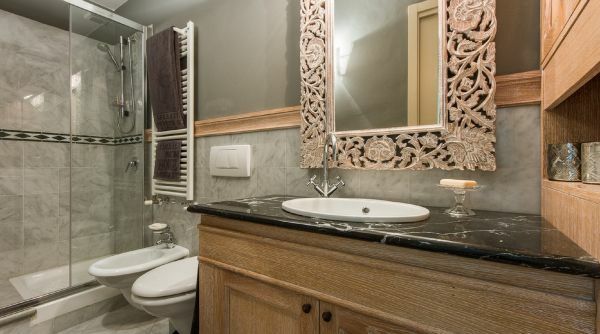 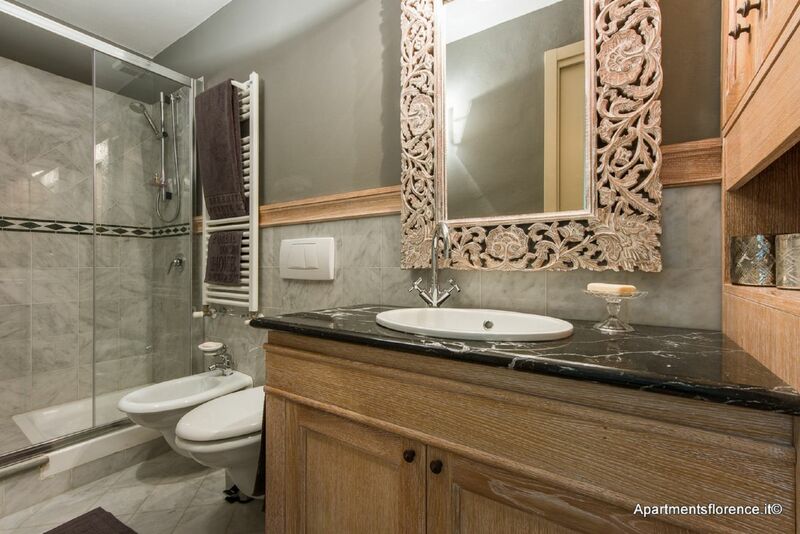 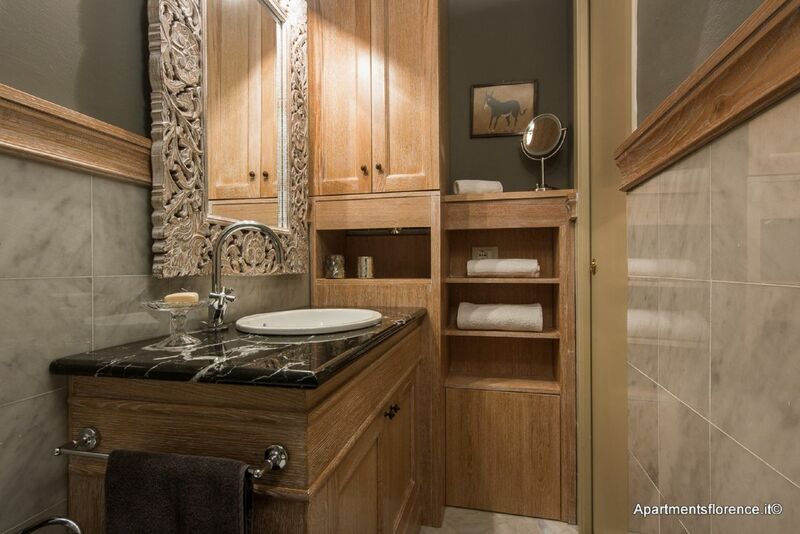 A second bathroom with shower, located next to the entry way, completes the property. 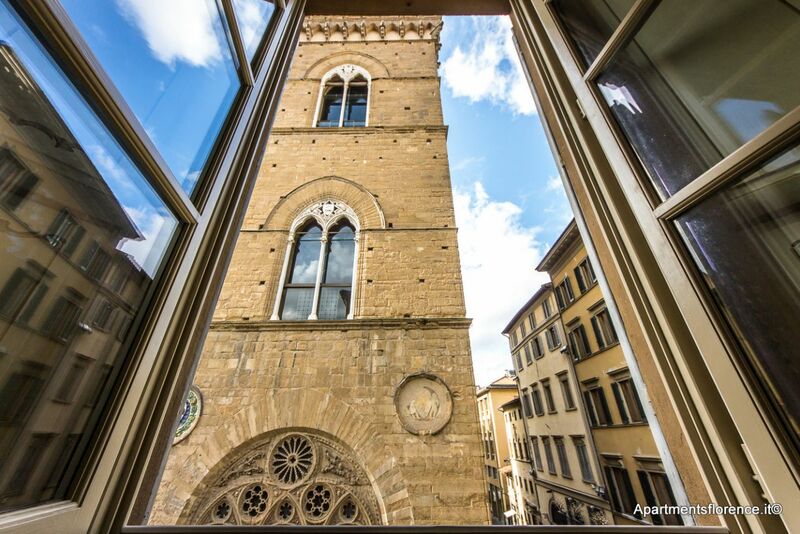 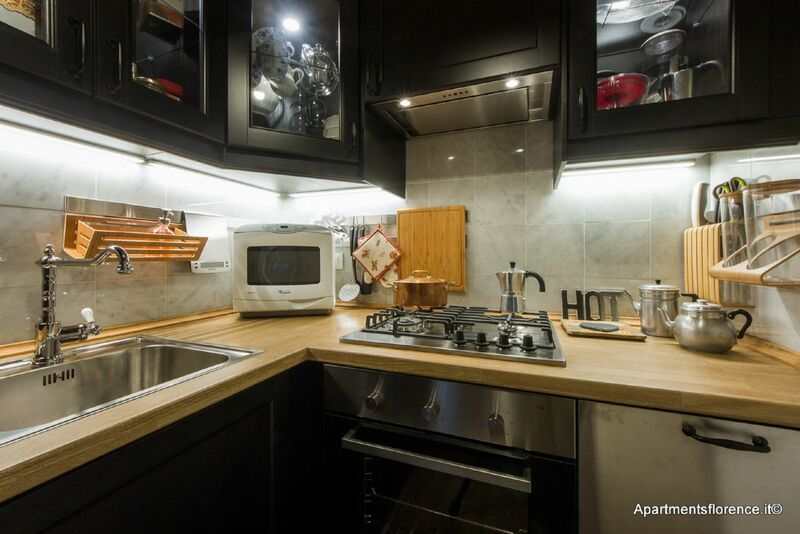 This property is the ideal choice for those who wish to experience Florence staying in the very heart of the historical city center. 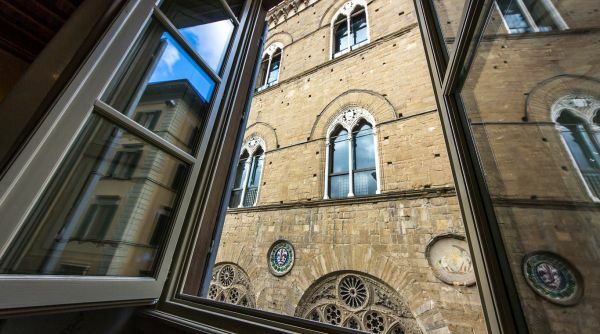 Choosing this apartment you'll be able to explore all of the city's beauties on foot, being so very close to the Duomo, Palazzo Vecchio, the Uffizi Gallery, Ponte Vecchio and Santa Croce. 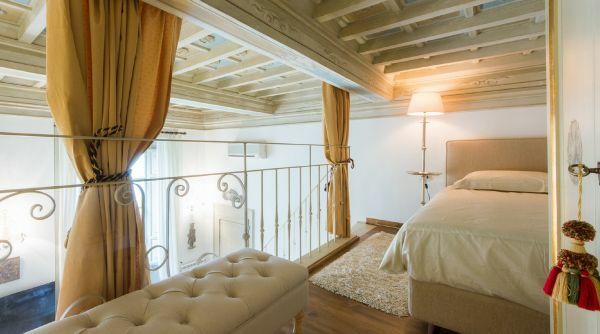 A very elegant and exclusive location for your Florentine stay, surrounded by the best luxury shops, restaurants, cafès, markets and so very close to all the monuments and museums!